Not only is BMO one of Canada’s leading financial institutions, they’re also known for having a robust customer loyalty program, aptly named, BMO Rewards. With BMO Rewards, customers earn points that can be redeemed for everything from travel, to shopping and select luxury experiences. They can even convert their points to investment dollars, through a BMO investment account. 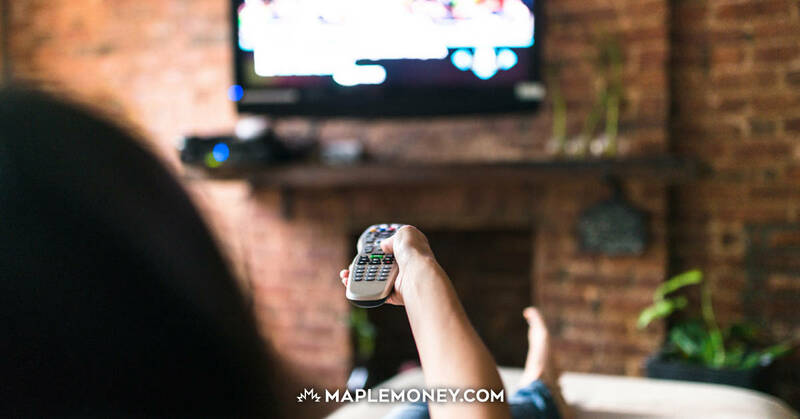 In this article, I’ll cover everything you need to know about collecting BMO reward points, and I’ll share some tricks so you can get the most out of the program. 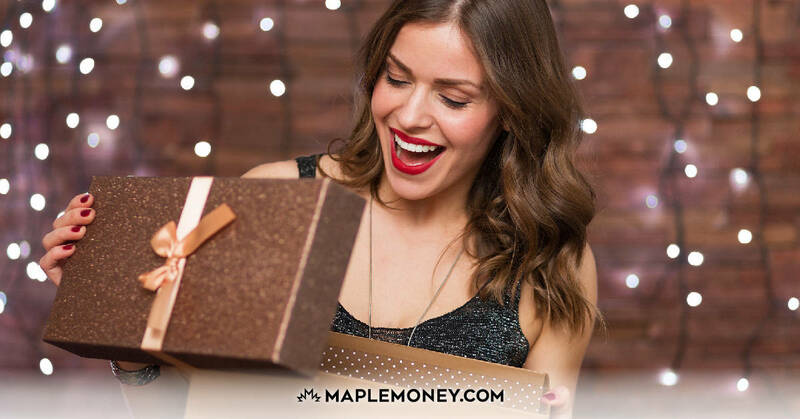 To start earning reward points, you’ll need one of two BMO Mastercards; the BMO Rewards Mastercard, or the premium level BMO World Elite Mastercard. Both of these cards allow you to accumulate points, but they are very different. I’ll provide you with a detailed review of each credit card further down, but first, let’s take a look at how you can use the points you’ve accumulated. How Can I Use My BMO Rewards Points? With BMO Rewards, there are many ways to use the points you’ve earned, from travel, to merchandise and gift cards, even luxury experiences. There really is something for just about everyone. For many, the obvious choice is to redeem points for travel. Because BMO Rewards is not affiliated with a particular airline, the platform allows for a lot of flexibility. You can redeem reward points for travel on any airline, with no blackout dates or seat restrictions. And unlike some travel reward programs, your points are eligible to cover all flight charges and taxes. In addition to flights, you can redeem your points for hotels, car rentals, cruises, and vacation packages, through BMO Rewards full service travel centre. With BMO Rewards, flexibility is the name of the game. For the ‘super savers’ out there, BMO allows you to convert your rewards points into cash, which can be transferred into an BMO investment account. 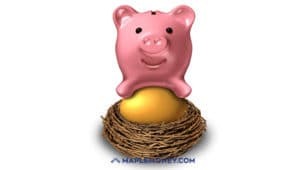 Transfers must be made in increments of $100, and 15,000 points will translate to $100 in your investment account. The point conversion to investment dollars isn’t quite as lucrative as redeeming for travel, but imagine how you can make those investment dollars work for you, over the long term. For the avid shopper, BMO Rewards boasts an online catalogue of merchandise, with a wide range of items to choose from. Categories include travel essentials, kitchen, electronics, health and wellness, and toys. You want to be careful when redeeming for merchandise. Points don’t always represent equal value from one product to another. In other words, some items are a better deal than others. Also, keep your eye open for discounted items and special offers. Who doesn’t like getting gift cards? They also make for a convenient way to shop for friends and loved ones. With BMO Rewards, you can choose from a wide selection of gift cards. Restaurants, retail stores, even gas stations are included. Similar to merchandise, not all gift cards are of equal value. Take Home Depot and Rona for example, two very similar retail stores. To order a $100 Home Depot gift card, you’ll need 20,000 points. But a $100 Rona card is only 19,000 points. It may not seem like much, but over time, the difference can add up. With BMO Rewards, you can indulge in a number of experiences. This comes in handy if you’re travelling to a specific area, and they have something that suits your taste. For instance, if you happen to be visiting British Columbia, you can take in a deluxe Okanagan wine tour (23,000 points), or get a 1-day admission to the Vancouver Aquarium (8,000 points). If you’re not interested in redeeming points for any of the above, you have the option of donating your points, or applying them as a credit against your statement. You’ll earn a reduced points conversion rate when you do, but know that it is an option. With so many options for using your BMO Rewards points, you may be wondering what they’re worth. The short answer is, it depends on how you’re using them. In general, you’ll get the most value by maximizing the travel rewards program. For $100 worth of travel, you’ll need 14,000 rewards points, roughly. Compare that to a $100 Home Depot gift card, which will cost you 20,000 points. That’s a significant difference. Converting points to investment dollars is a fairly attractive option. 15,000 reward points will get you $100 for investing purposes. But the funds can only be transferred to a BMO investment account. Still, this option offers more value than most merchandise and gift card purchases. This is a unique feature of BMO Rewards. They guarantee that they will price match on select airfare and vacation package bookings, when travel is booked directly through BMO Rewards. This is a great feature, designed to give BMO customers confidence when using BMO Rewards for their travel arrangements. There are a few terms and conditions you’ll want to be aware of, so make sure you do your research. As an example, for airfare to be eligible for a price match guarantee, flights must be booked with Air Canada or Westjet. And price matches on vacation packages are limited to specific providers, Air Canada Vacations, Sunwing Vacations, and Westjet Vacations, to name a few. As I mentioned earlier, to collect BMO Rewards points, you’ll need to apply for one of two BMO Mastercards. The BMO Rewards Mastercard is a simple, low cost points credit card, while the BMO World Elite Mastercard will take your point earning power to the next level. If you want to earn points, but you’re not interested in paying an annual fee to do so, the BMO Rewards Mastercard may be right for you. It’s a simple, no annual fee credit card, that will earn you 1 reward point for every dollar you spend. Currently, BMO is offering a welcome bonus of 20,000 rewards points, a generous offer for a no fee card. This card comes with the added benefit of Extended Warranty and Purchase Protection, and a standard credit card interest rate of 19.99% on purchases. Cardholders are also eligible for double rewards points and discounts when they rent a car through National and Alamo Car Rental locations worldwide. The BMO World Elite Mastercard is BMO’s flagship travel rewards credit card. Not only is it the best way to maximize your BMO rewards, it’s also the card I use for most of my spending. When you sign up for the BMO World Elite Mastercard, you’ll receive a welcome offer of 35,000 BMO Rewards points, and BMO will waive your annual fee of $150 for the first year. That’s a combined value of $400, which is impressive. With the BMO World Elite Mastercard, you’ll earn points faster. For example, you get 3 rewards points for every dollar spent on travel, dining, and entertainment, and 2 points on all other purchases. The regular BMO Rewards Mastercard seems rather pedestrian by comparison. Of course, you will eventually pay a $150 annual fee for the privilege, but if you’re spending is enough that you can justify paying the fee, it’s worth it. The benefits don’t end there. Cardholders also receive travel medical protection, as well as membership to private airport lounges through Mastercard Airport Experiences, including 4 annual passes. This is a perk I take advantage of wherever I can, when I travel. For more information on the BMO World Elite Mastercard, feel free to check out my in depth review. Apply For a BMO World Elite Mastercard today! What’s The Best Use Of My BMO Reward Points? Whether you’re considering joining the BMO Rewards bandwagon, or you’re already a member, you may be wondering how to best use your rewards. 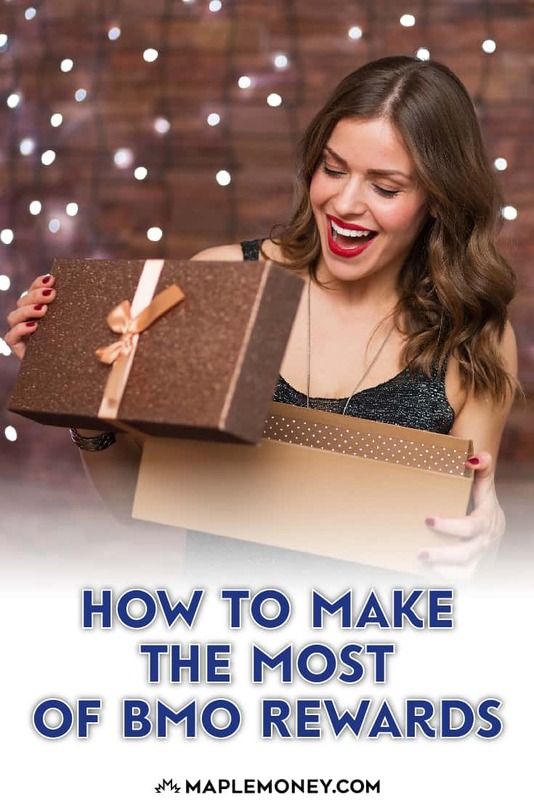 After all, there are seemingly endless ways to spend your points, from travel and investing, to gift cards, merchandise, even fun events or experiences. In my opinion, redeeming your BMO Rewards for travel is the way to go, because your points translate to a higher dollar value than they do for investments, gift cards, and most merchandise. While gift cards and merchandise are nice, if you’re not taking advantage of the travel benefits, you’re probably better served getting a premium cash back credit card through BMO, or another provider. Thankfully, there are plenty of great cash back cards to choose from. I’ll leave you with one last point, that it, if you can justify the annual fee of the BMO World Elite Mastercard, it’s sheer point earning power makes it worth considering.